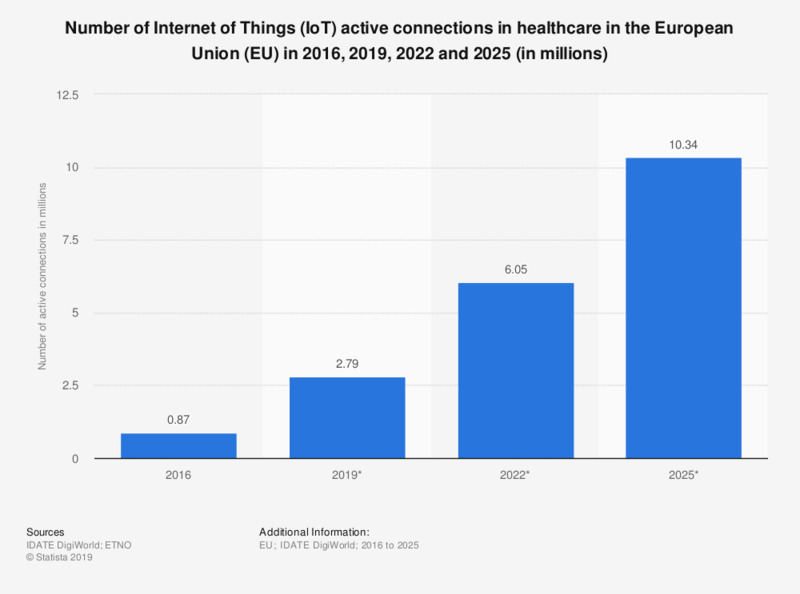 This statistic shows the number of Internet of Things (IoT) active connections in healthcare in the European Union (EU) in 2016, 2019, 2022 and 2025. The number of IoT healthcare active connections was expected to increase through the years. It was at 0.87 million connections in 2016, and it was expected to reach 10.34 million connections by 2025.